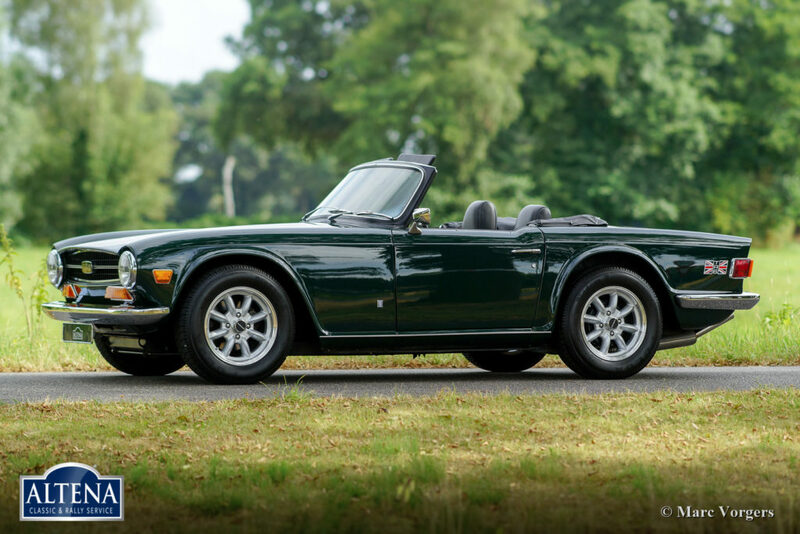 Triumph TR6, year 1971. 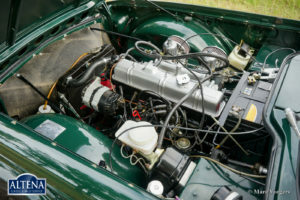 Chassis number CC6711XX, engine number C06729XX. Colour British Racing Green with a black leather interior. 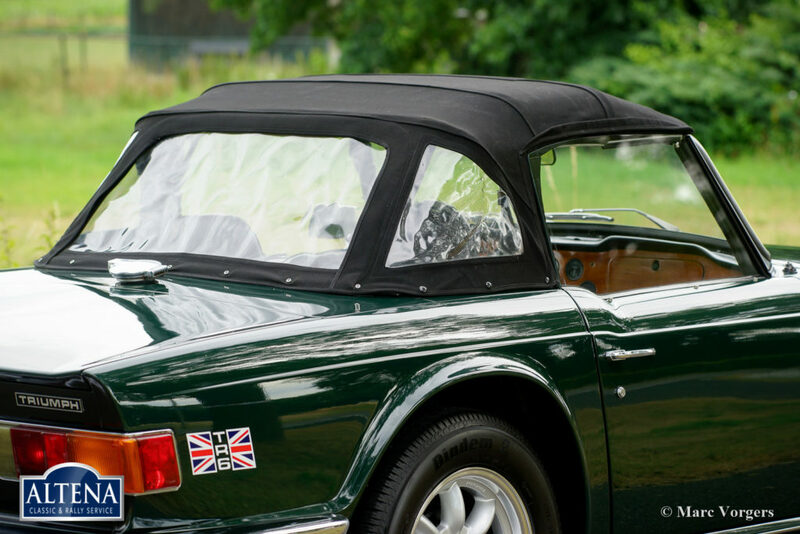 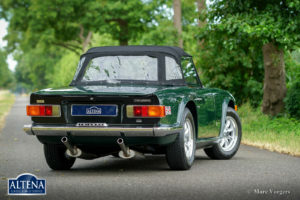 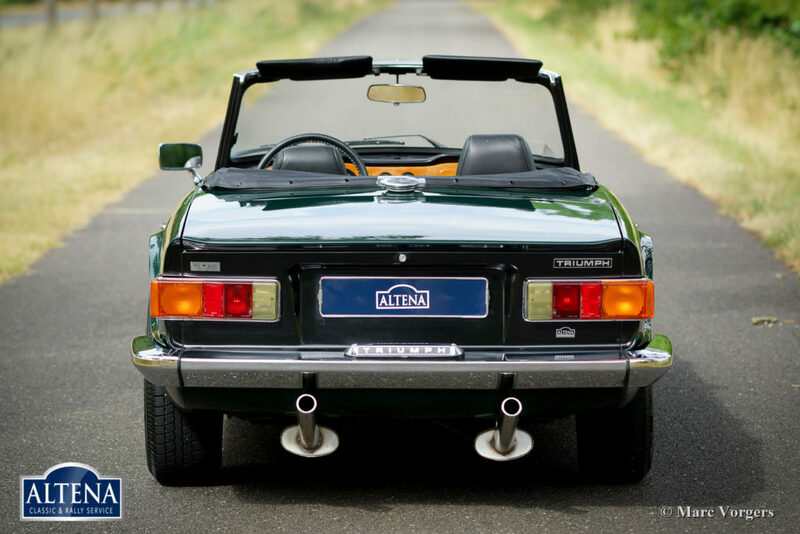 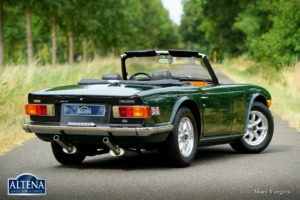 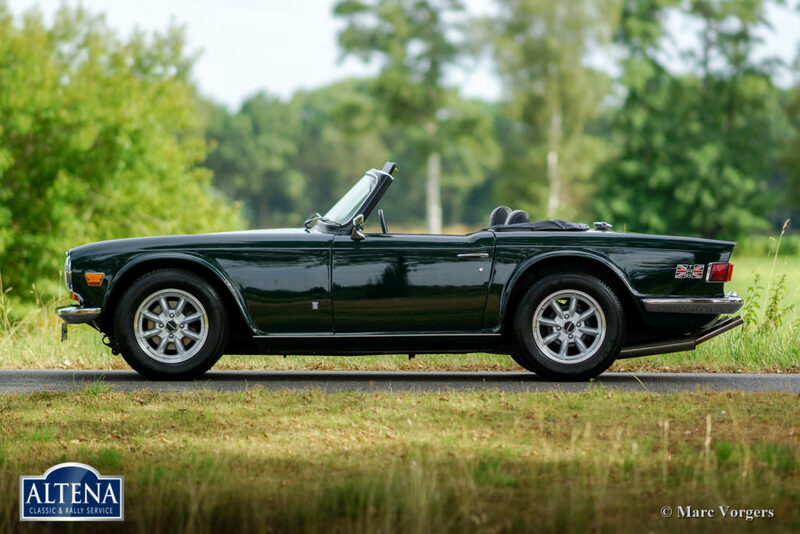 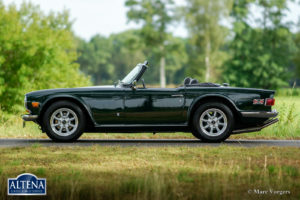 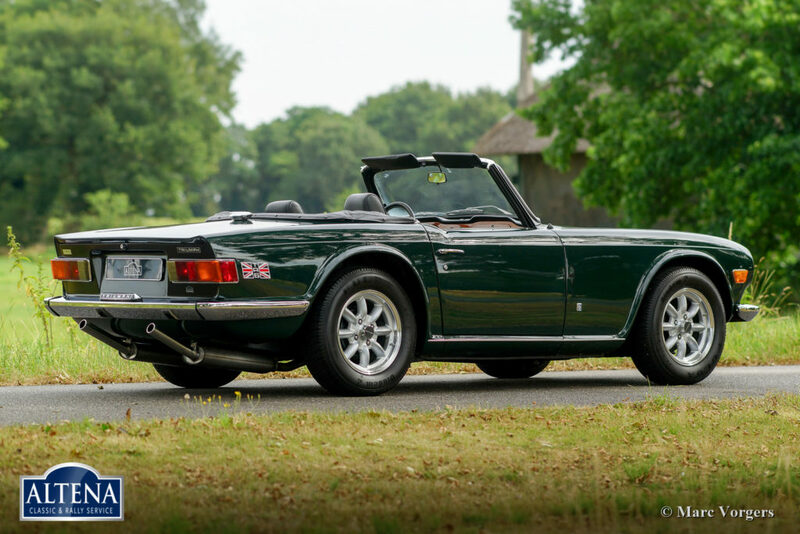 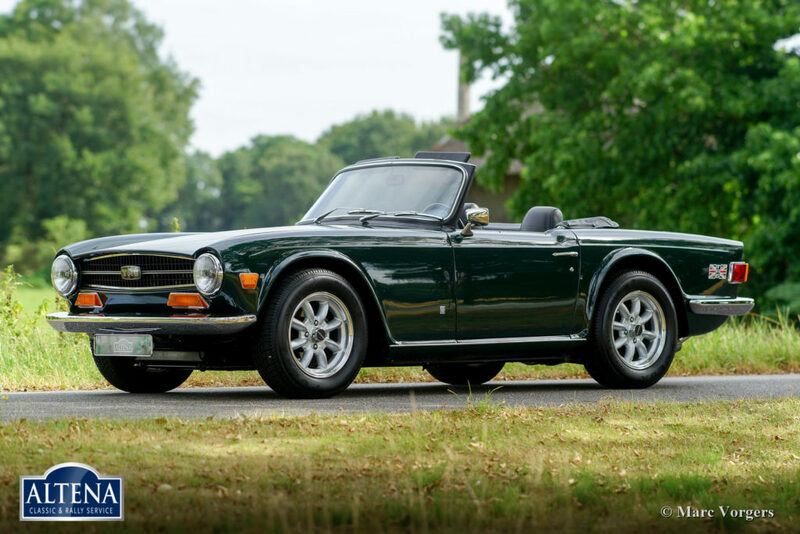 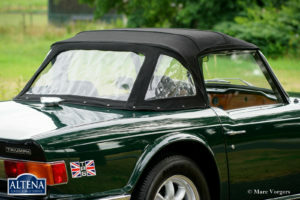 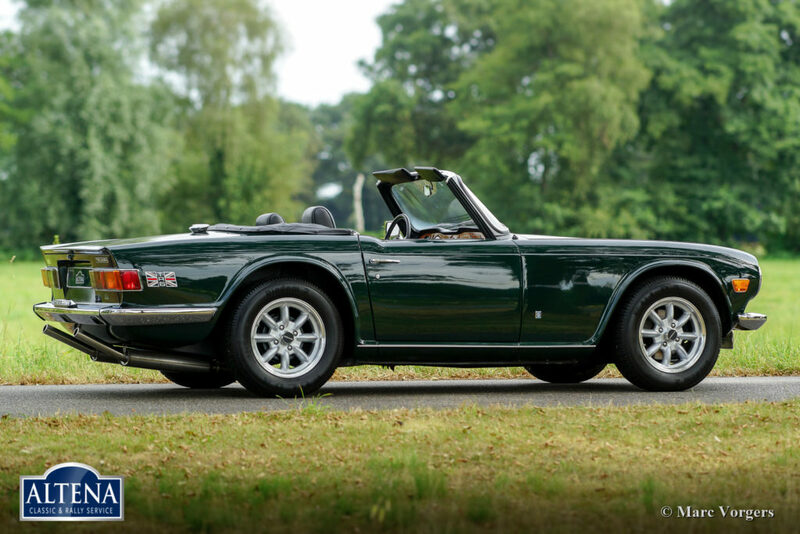 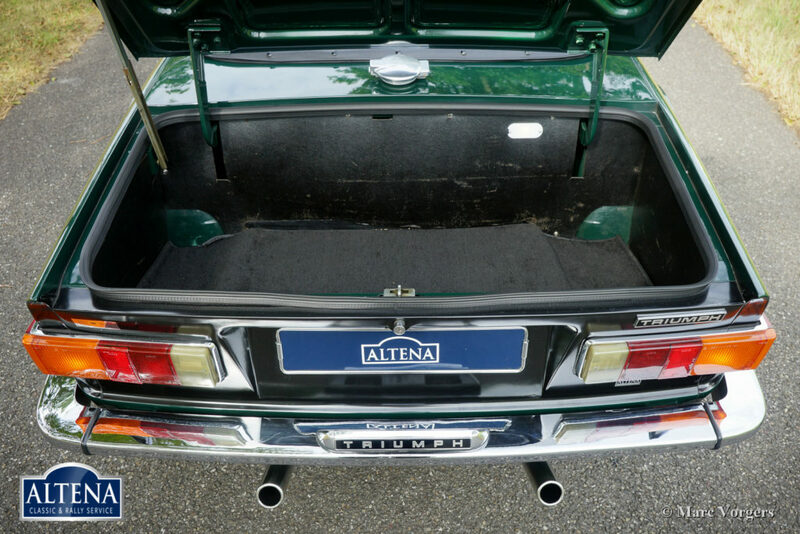 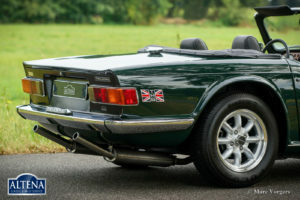 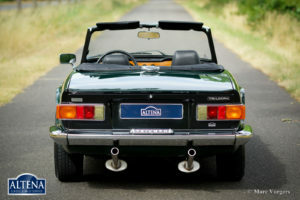 This fantastic Triumph TR6 was sold new in the USA. 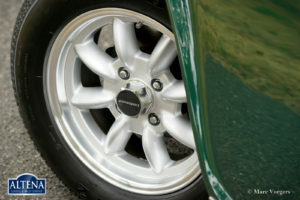 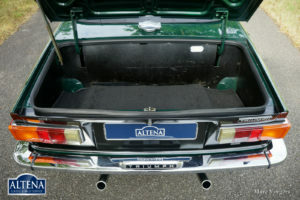 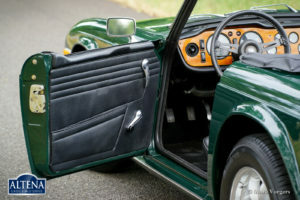 The car was imported to the Netherlands in the year 1994. 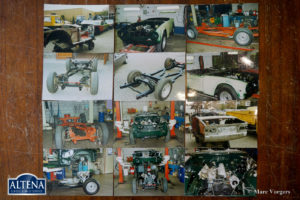 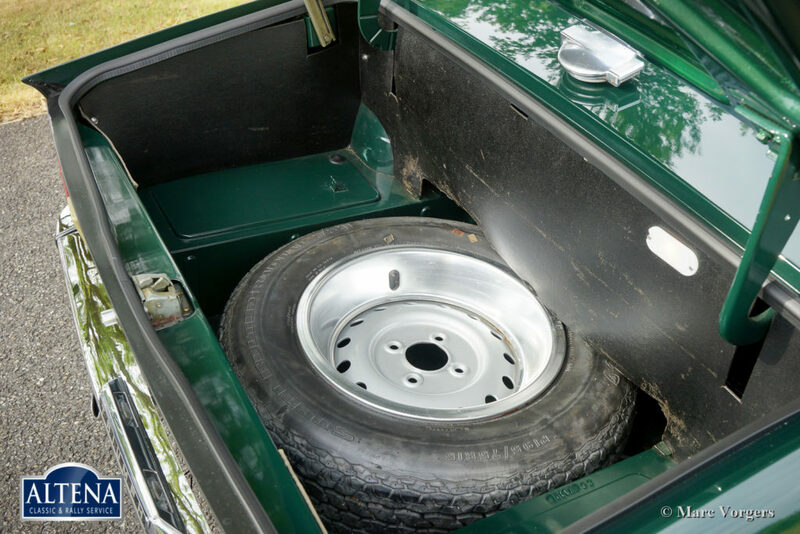 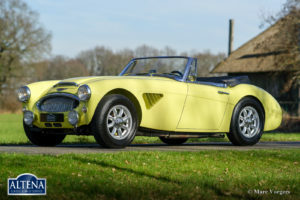 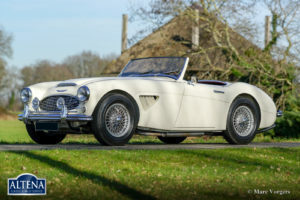 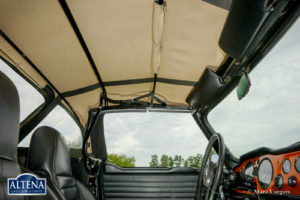 In the Netherlands, the automobile was extensively and body-off restored (from the bare metal) by a top-class restoration firm, a photo report of the restoration is present as is a file with (service) invoices. 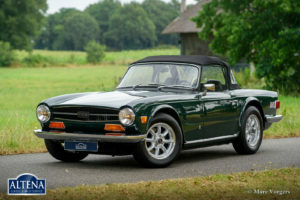 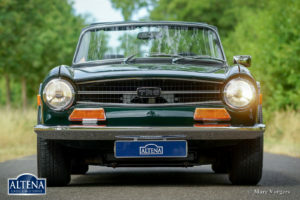 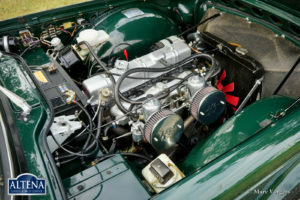 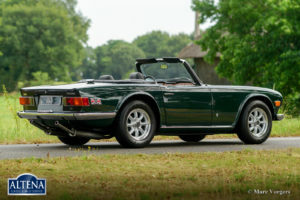 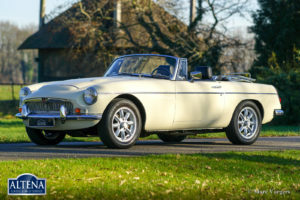 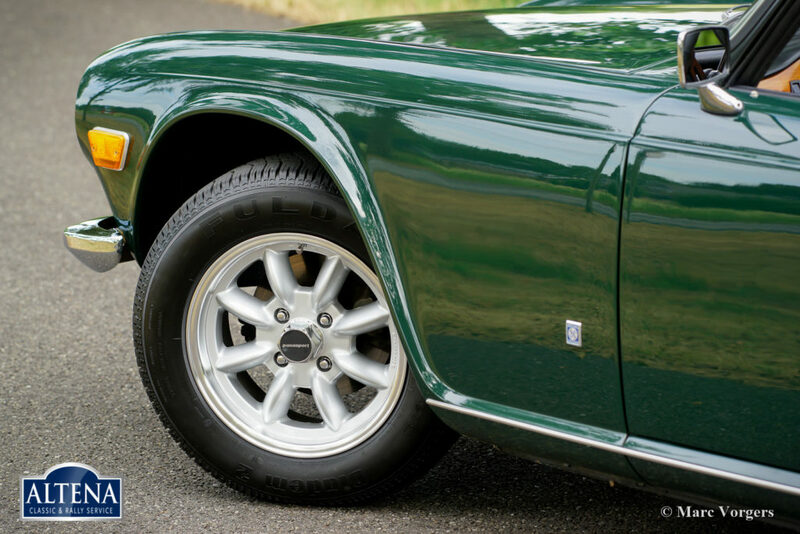 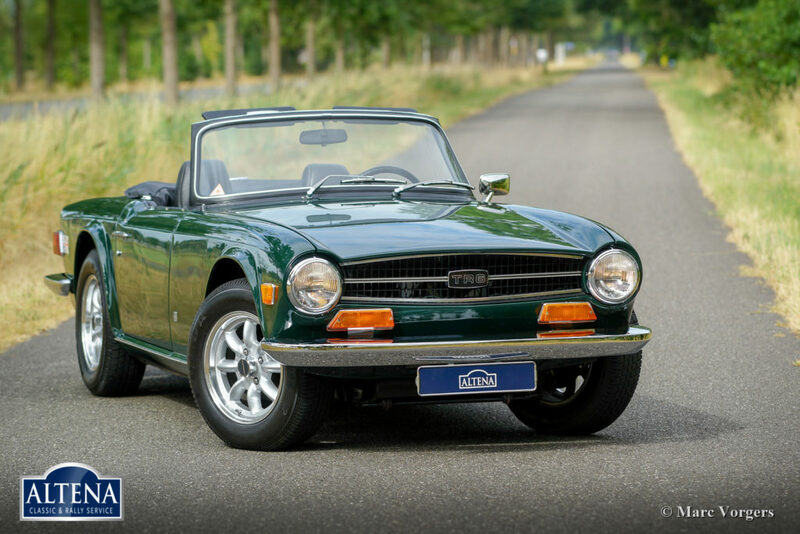 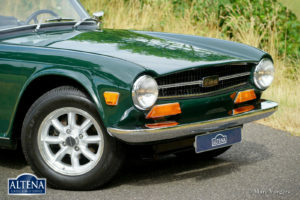 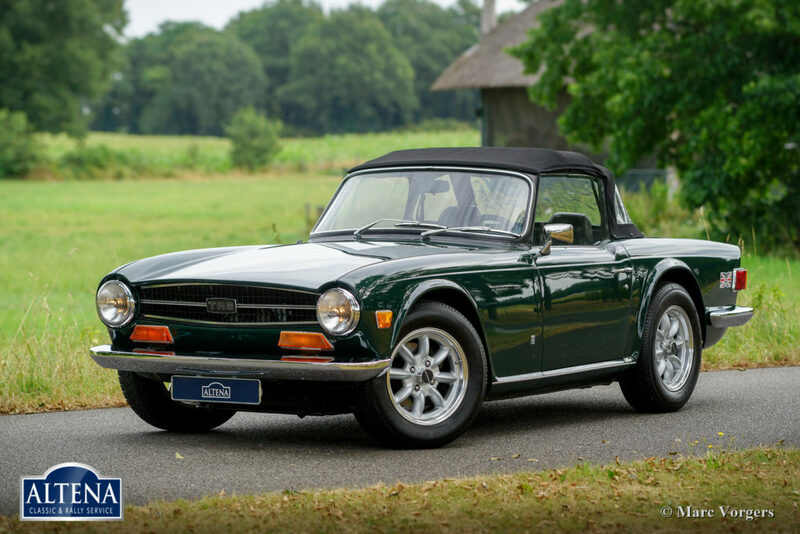 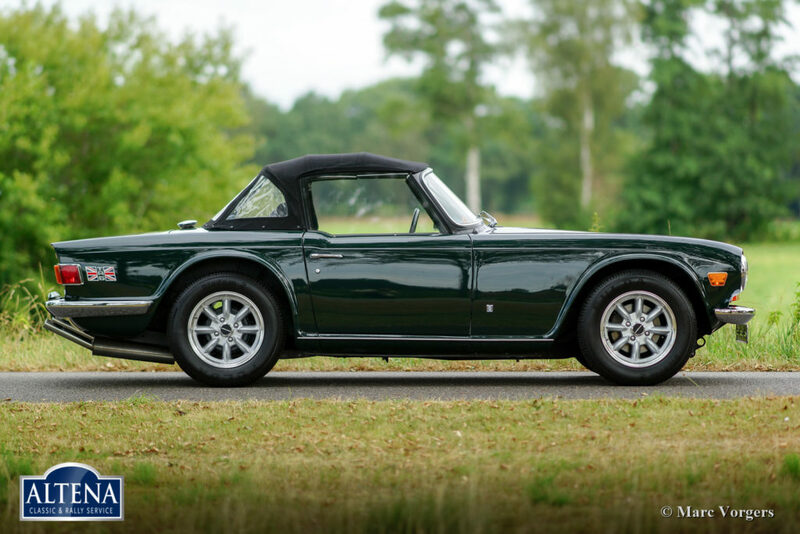 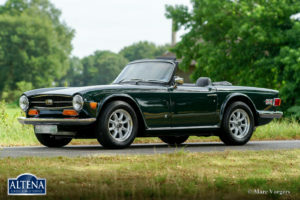 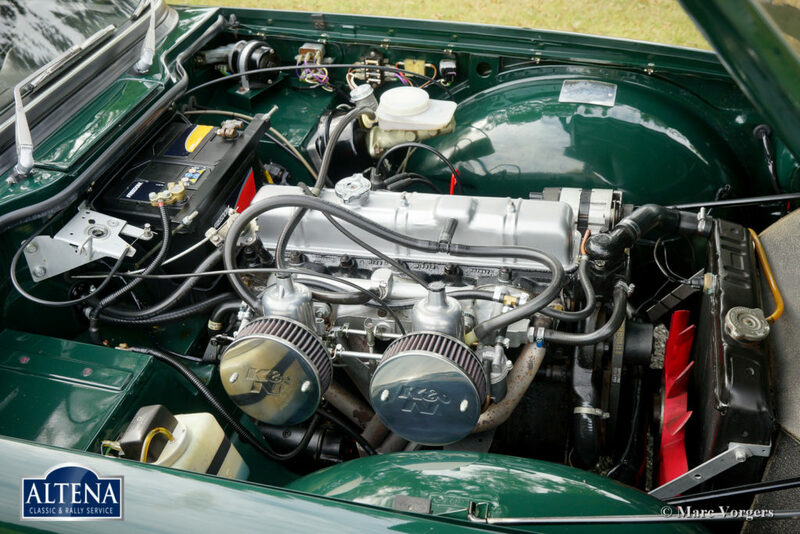 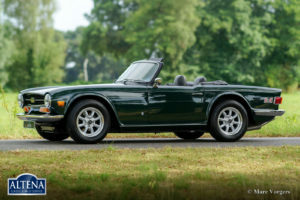 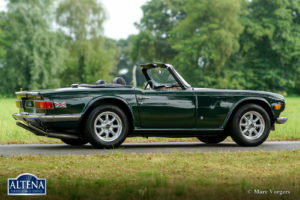 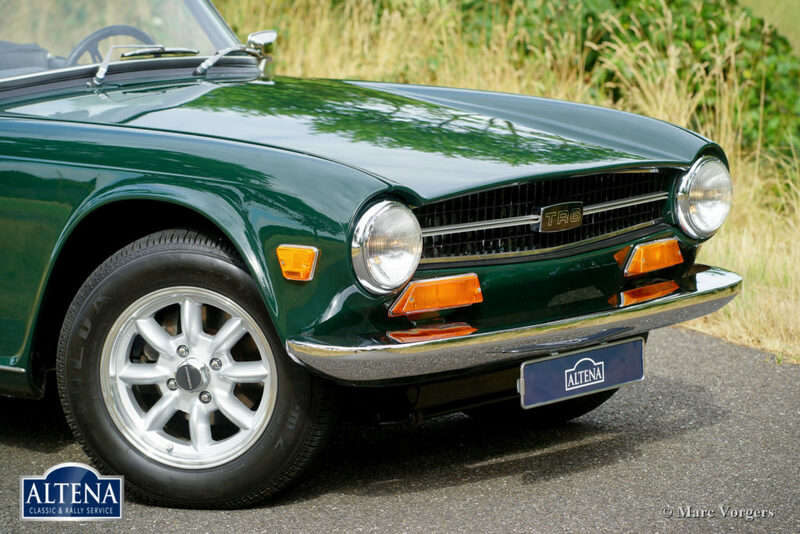 This TR6 is in excellent to superb condition and the car drives perfectly! 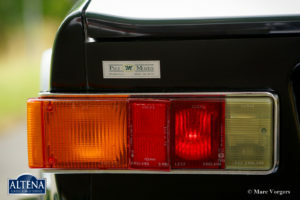 The bodywork shows a perfect panel fit and superb paint. 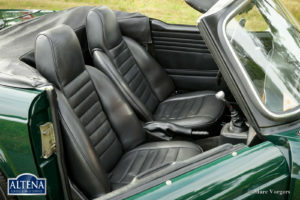 The interior and the engine room are in like new condition. 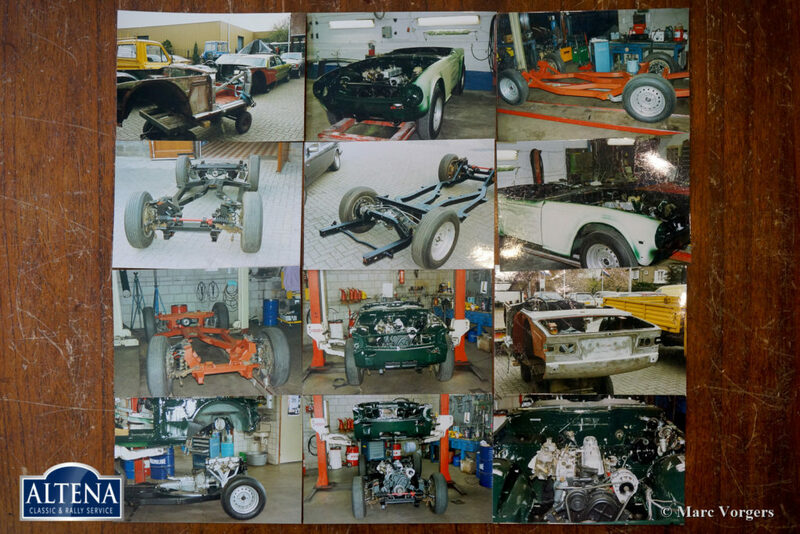 To get an idea of the quality; the car has been cared for and serviced by the renowned Dutch firm of Piet Mozes Restorations for many years. 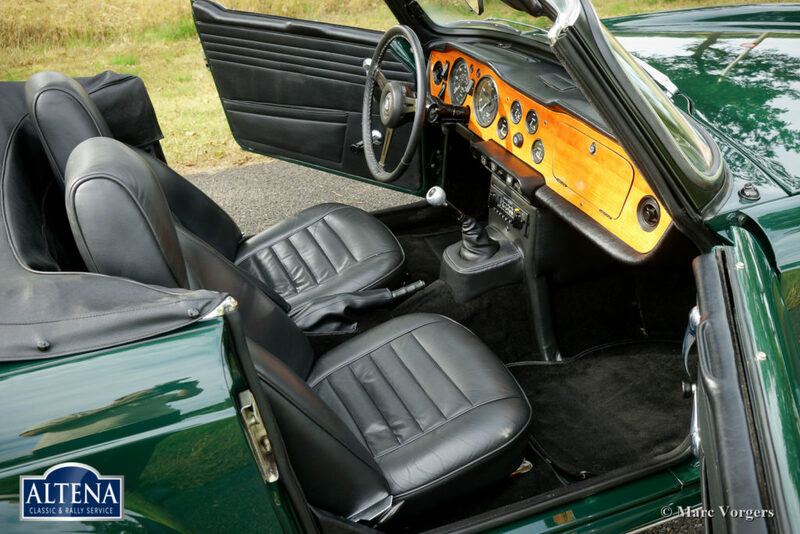 The car features overdrive, light alloy Panasport wheels shod with 195/70 Fulda tyres, an alarm system, a gear lever knob with integrated overdrive switch and a twin pipe Stainless Steel sports exhaust which produces a magnificent sound-track. 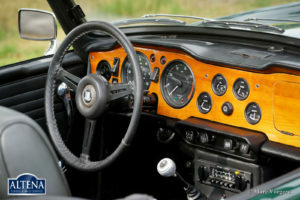 The car shows beautiful original details, the original steering wheel is still present. 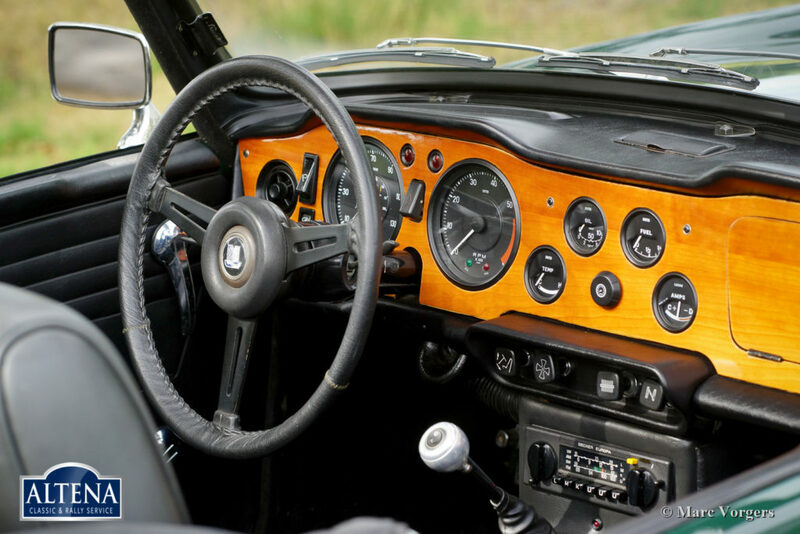 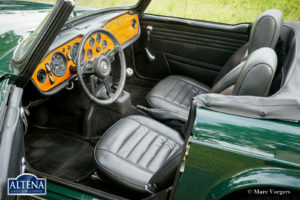 The Triumph TR6 features a wonderful wood dashboard with many gauges; one of the best cockpits you will ever find in a classic sports car! This fine TR6 drives and handles superbly!